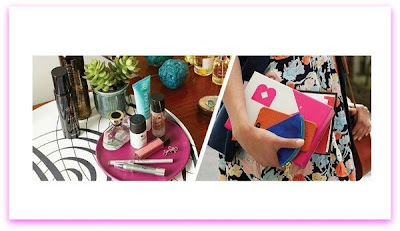 Birchbox, American’s number one beauty and lifestyle box subscription service, announced on June 4, the unveiling of the brand’s new global identity set forth to reflect the growth and evolution of the Birchbox business. Along with a new look, the brand has launched site improvements, which will help to engage consumers in their shopping experience with the discovery of new beauty and personal care products sold exclusively through the Birchbox site. “We set out to build a brand identity that reflects the 360 degree Birchbox experience, our brand personality and discovery retail vision, and couldn’t be more thrilled to continue growing Birchbox with our new look and feel,” Katia Beauchamp, Co-CEO and Co- Founder, Birchbox shares with The Makeup Examiner readers. The Birchbox rebranding has a chic new look and feel that is a natural progression to reflect a brand that has grown up. While the new look is chic and sophisticated, it still retains that fun feeling that is synonymous with Birchbox. In addition to the stylistic changes made with the branding revamp, Birchbox has also made key updates to the site experience, which includes more personalization, improved searches and a favorites feature. Readers are you excited? Guess what … there’s more news! Birchbox has partnered with Color Club and launched on June 4 “The Wanderlust Collection” ($8)! The exclusive colors, custom blended by the Birchbox editors, are a new category of nail lacquer, “pastel neons”. London Calling - A sunny green that makes us think of the city’s many grassy knolls, particularly Hyde Park. Reign in Spain - A fiery coral that evokes hot summer days under blazing sun along the Mediterranean. Pardon My French - A charming purple that’s an ode to the breathtaking beauty of Provencal lavender fields. Mod in Manhattan - A brilliant off-white that represents the glow of the mega-watt city at night. The Makeup Examiner is off to go back and play some more at Birchbox. Reader’s can join The Makeup Examiner at Birchbox website.